How much importance do you place on your brand? I bet it’s not enough. An inconsistent representation of your brand creates confusion and can even reduce your ability to expand your business. 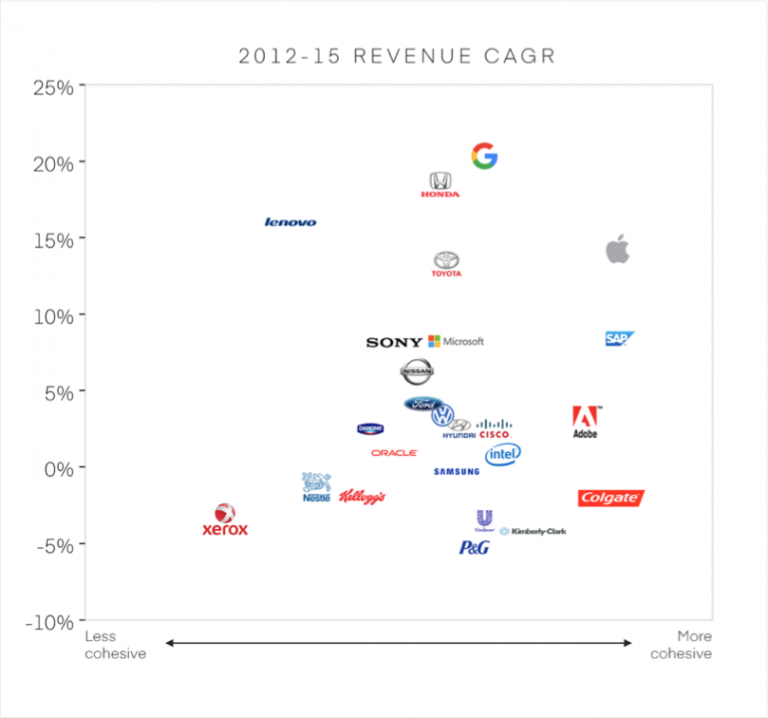 Research by Interbrand shows a strong correlation between the consistency of branding and the revenue a company earns. It’s no surprise then that almost 80% of B2B marketing leaders determine branding to be a critical contributor to growth. Why are modern brands more at risk than ever? Here’s the thing – your brand doesn’t exist in a silo within your organization. It’s fluid and uncontrollable. Once you let your brand out of the bag, it now belongs to your customers and anyone else who is exposed to it. In a world with short attention spans, remote working, high service expectations, and digital platforms designed to proliferate the message of average Joe and Joanne, it’s harder and more important than ever to protect the integrity of your brand. In a social media world where irreparable brand damage is the snap of a photo or the click of a button away, brand guidelines and employee training are essential to maintaining your reputation. Controlling the use and proliferation of your brand, even with employees, is extremely difficult. Especially when employees are expected to get things done at a speed faster than ever and with limited resources. The workplace is accelerating by the day. This is especially true in a fast-moving space such as digital marketing where trends and tactics are becoming obsolete overnight with the shift of an algorithm. This environment puts added pressure on teams to work at speed – most of the time with fewer resources and less support. Remote teams, timezone clashes, and over the top output expectations are the norm. Internal team members are now project managers, expected to achieve more and more every day with a team of disparate workers. Given the state of growing expectations for speed and limited internal resources, it’s uncommon to see a dedicated brand guardian in an organization. Even if there is, they are probably working on five or six other roles at the same time. The likelihood of a brand slip up under these conditions is high. Content is being produced by businesses at an astonishing rate. There are more channels, customer touchpoints, and increasing expectations for immediate response times. 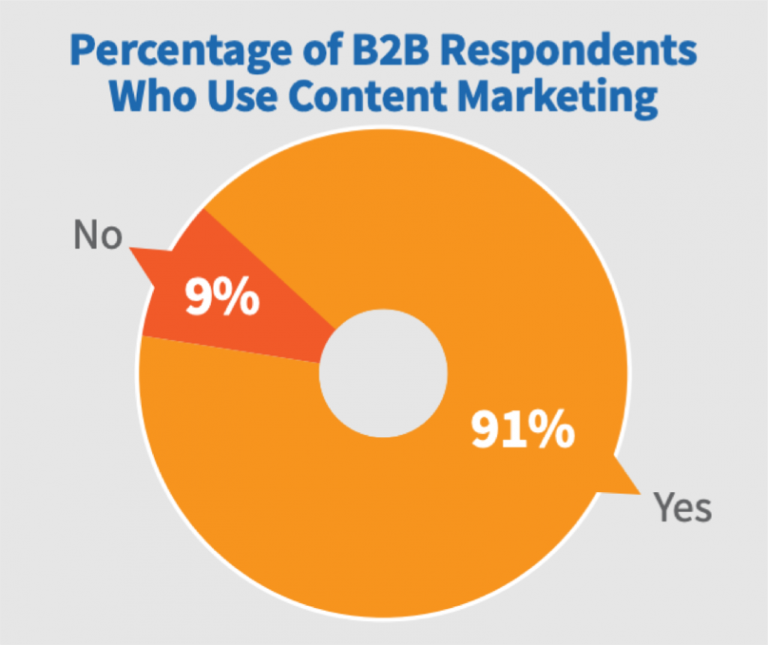 In fact, research conducted by the Content Marketing Institute found that 91% of B2B marketers use content marketing as part of their digital strategy. That is a LOT of content! More channels, more content, and increased expectations mean there is simply more brand to protect – and much more integrity and value to customers are at risk. The appetite for content creation has a flow-on effect on the importance and need for design at scale – an agenda that results in greater chance of brand guidelines being broken and brand integrity compromised. But the implications of large-scale design requirements don’t stop there. 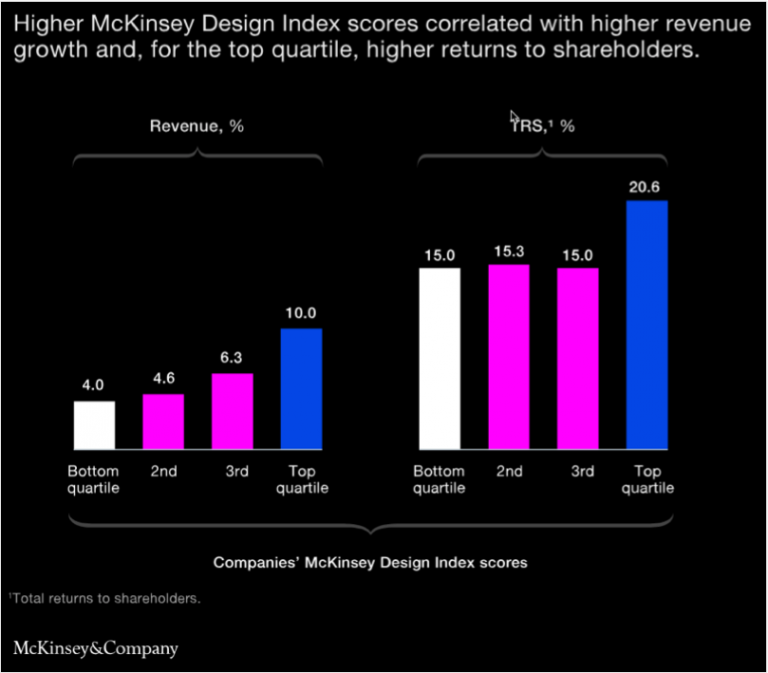 McKinsey conducted a comprehensive research study spanning for over five years that looked at the design practices of 300 publicly listed companies. The data collected was then matched with over 2 million pieces of financial data to identify any potential correlations between design practice and financial performance. A higher “Design Index Score” as determined by the study, correlated with higher revenue and business growth. In summary, quality of design results in consistency of brand and better business performance. Something that is harder than ever to achieve given the growing need for design fueled by content creation. How do you maintain the integrity of your brand in this environment? Today’s branding ecosystem is complex – there is an increasing amount of content being produced, growing expectations for team productivity, and a high benchmark for design. In combination, these forces put your brand integrity at risk and expose your business to rogue brand representations from employees. All of this can result in a lack of brand consistency, which is severely damaging to the growth trajectory of organizations. However, brand consistency shouldn’t be confused with rigid policies and restrictive guidelines. 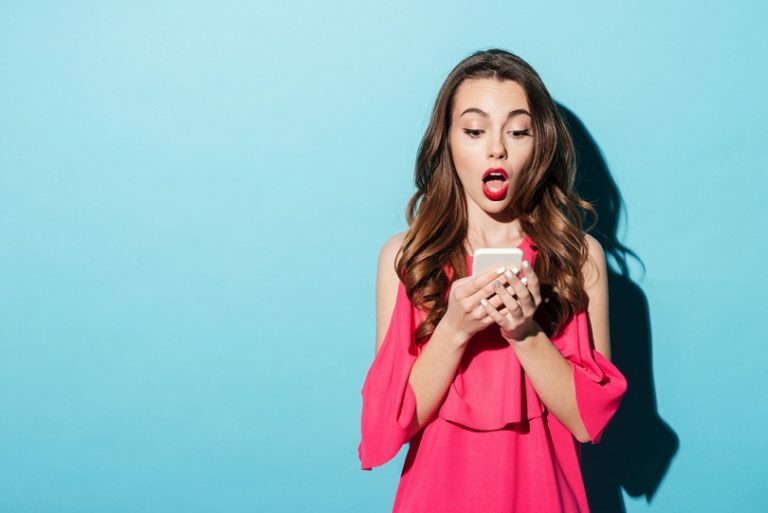 Brands that are too inflexible are also getting left behind, as other more nimble businesses leverage the power of social media and the reach of their extended network. So, how do you balance risk-aversion with flexibility to get the best of both worlds? In our digital era, you must be able to apply brand guidelines in a thoughtful, agile, and creative way that is also built for scale. The only way to do this is with a brand guardian. Your brand guardian is appointed to monitor and optimize the performance of your brand on a regular basis. They work closely with your team to first establish, and then reform and iterate, a set of guidelines that minimizes risk and maximizes brand proliferation. An effective brand guardian combines technology with people power to create design consistency and access across the entire organization. Think high-quality, on-brand design is out of reach? Think again. There are solutions available that learn your brand, assisting you on virtually any project – so everything stays on task and on brand. For example, SketchDeck is a platform that combines people and software to make high-quality everyday design accessible to your whole organization – it acts as a brand guardian of sorts. They have worked with brands such as Remy Cointreau and Colliers to de-risk and strengthen their brands, without the need for outdated offline systems and documentation. Is your brand integrity at risk or have you enlisted a guardian to keep things in check?